My mother is prone to long, ongoing obsessions with totally random subjects, where she reads everything she can on the issue and accumulates an encyclopedic knowledge of details of no interest to anyone but herself. 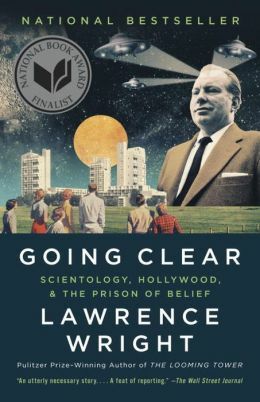 Her latest fixation is on Scientology's ongoing legal disputes, so I was pleased to hear that HBO is making a movie of Pulitzer Prize-winning author Lawrence Wright’s book Going Clear:Scientology, Hollywood, and the Prison of Belief. Seriously, this news is like a free Christmas gift for my mom, who has whiled away many a long winter evening systematically Googling every detail mentioned in Wright's (excellent, according to her) book.